Help us Build the Best Bike in the World! It’s your chance to help us spec our best bike ever! 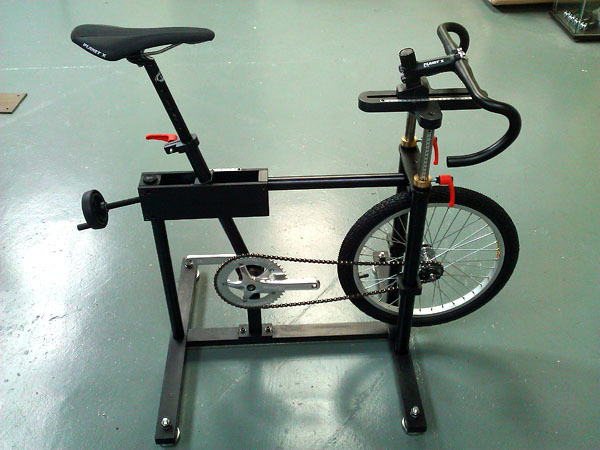 We’re pleased to announce the imminent arrival of VINER BIKES at Bike Science Bristol. 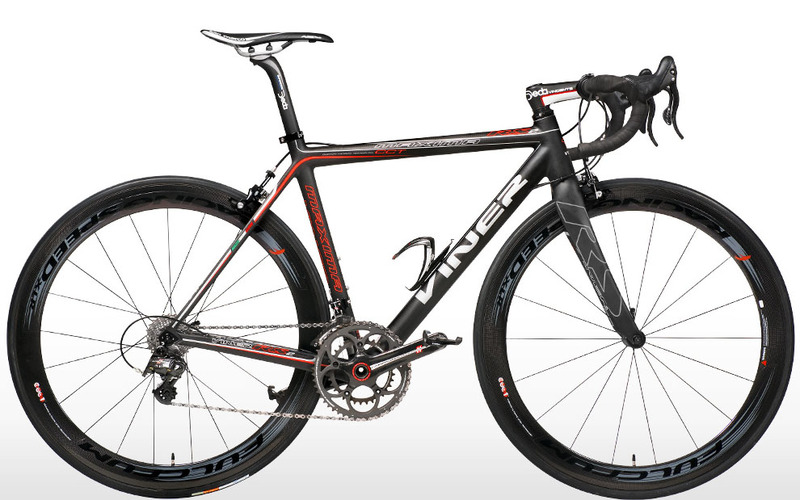 Viner offer classic Italian styling and MADE TO MEASURE Carbon, titanium, aluminium and steel road, track, cross and mtb frames for the ultimate bikes. If you want the best, this is it! The first demo bike we’re building is the awesome 2012 Maxima RS2. It’s one of the first 2012 spec Maxima’s to hit the UK and we’re keen to spec the bike with the cream of the crop of components. We need your help to make ours even better! So go for it and let us know on our Facebook page how you’d spec your ultimate road bike. We’ve started with the ultimate frame, it’s time for you to do the rest. The Maxima RS2 will be available from Bike Science as frame and fork (£4999) or as complete bikes with your choice of components. For mere mortals, custom made Viner frame prices start at £850 including fork. 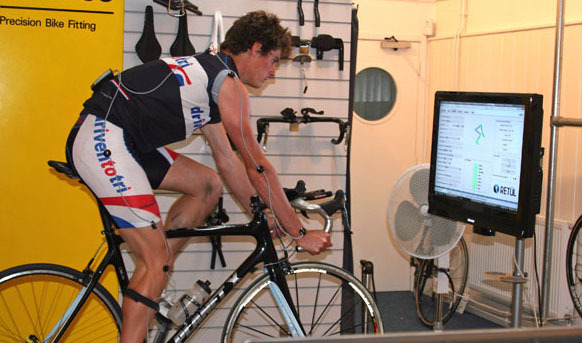 Prices of all Viner made to measure frames include free Retul sizing session before purchase and free Retul fit session on collection of your bike. This weekend saw Team Bike Science – Planet X prove that our long distance boys and girls can still go FAST over the short stuff too. 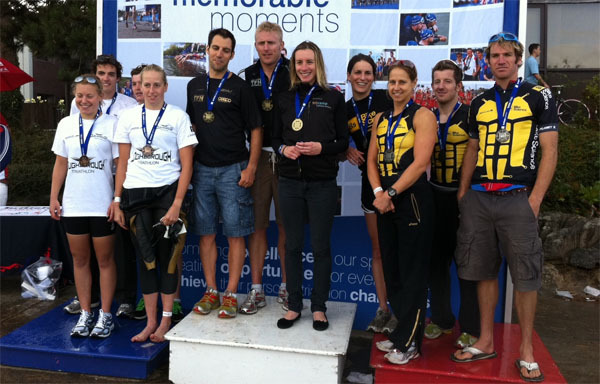 If you’ve never competed at the National Triathlon Relay champs at Holme Pierrepont in Nottingham, then you’re missing out. The weekend always brings some fast fun and top class racing and this year proved to be no exception. 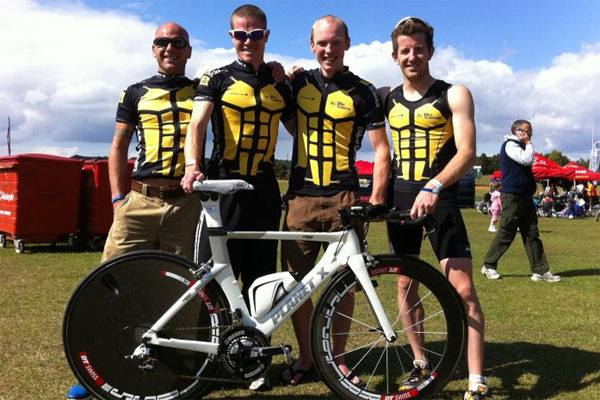 Team Bike Science- Planet X entered teams in both the mixed and mens events. Racing started on Saturday morning with the mixed event. We knew we had a super strong team for this one with Ironman Lanzarote top 10 finisher and biking powerhouse Lisa Greenfield, Sub 9 hour Ironman Jules Hatcher, European elite long distance medalist Alice Hector and the team’s resident short distance specialist (and team manager) Paul Horsfall. The team exited 2nd from the swim, powered into the lead on the bike and almost hung on for the win in a nail biting finish with strong runners Team Blue Seventy TFN bringing it home in 1st place by less than 40 seconds. Stunning stuff! The mens event kicked off early on Sunday with our team being a bit of an unknown quantity. Hywel Davies just back from a brilliant win at the European long distance age group champs, Ironman veteran Mark White using the event as a sharpener in his build up to the upcoming Challenge Henley Ironman distance event, Elite duathlete Oli Mott and Paul Horsfall stepping in AGAIN as a last minute replacement for our resident army boy Edd Charlton Weedy, who’d done a mystery disappearing act muttering something about “top secret” and “If I told you, I’d have to shoot you”. With Hywel’s legs still heavy and his back crocked after the Europeans, Mark in mid Ironman build up, Paul “a little sore” from the previous days efforts and Oli admitting at the twelfth hour that he didn’t really know how to swim, we weren’t holding out for a runaway victory, but these boys are racers, and race they did! Exiting from the water in 16th place, the team let loose on the bike to haul themselves up to 6th position by the time the first runners hit the tarmac. The team chased hard throughout the run leg and managed to pull up another two places, just missing out on a podium slot by 1 minute after Oli (who we knew could run a bit) putting in a stunning 16 minute final 5k. All in all, a great weekend, with great racing. We’ll be back next year with an even stronger team gunning for more podium spots. See you there! X-Lab Hydration Products – IN STOCK NOW! X-Lab drinks bottle holders give riders the most flexible choices possible for transporting your drinks on the go. As used by multiple Ironman World Champions Craig Alexander and the awesome Chrissie Wellington. 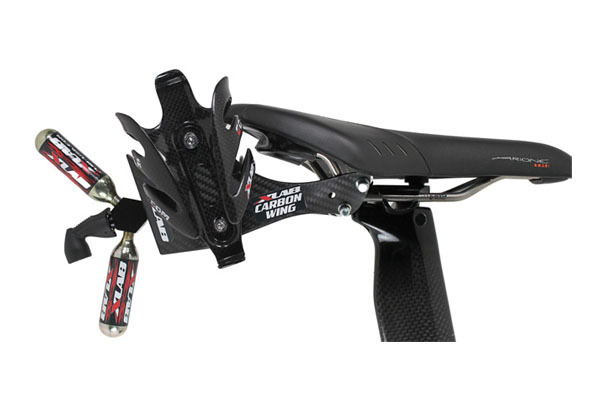 From basic rear mounted solutions to the ultimate X-Lab carbon wing, X-Lab have everything you need.